Your resource of choice for business consulting, staffing and technology solutions. Partnering to achieve your most mission-critical objectives. 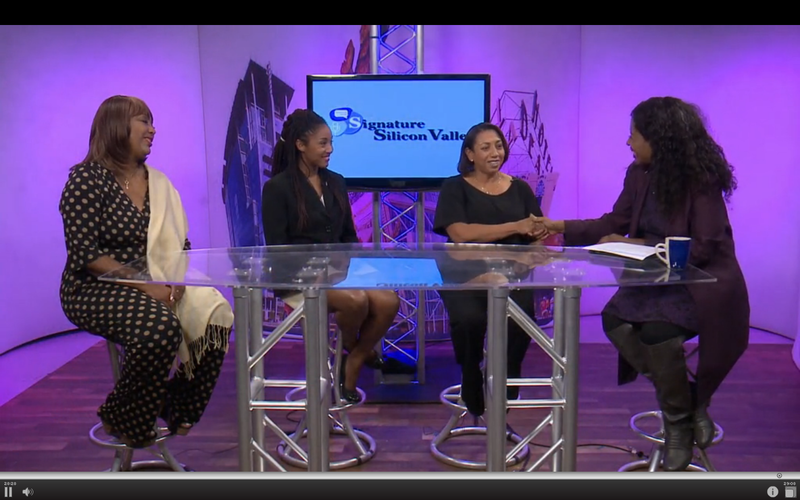 In an episode of Signature Silicon Valley with Janice Edwards, Charlotta Carter was featured as the founder and CEO of DVRSTY-STEM Accelerators. Charlotta Carter, Chief Financial Officer Lakeisha Poole and Lisa Riley, Director of Media Relations for DVRSTY-STEM Accelerators, also appeared as representatives of the growing nonprofit organization. Signature Silicon Valley is an award-winning thirty-minute magazine show hosted and co-executive produced by Janice Edwards and directed by Gopher Gold. The show features Silicon Valley people, places and hot topics, and is shot both in the studio and in the field. If you want to watch the whole episode, please follow this link to Signature Silicon Valley. In addition, you can learn more about the work at DVRSTY-STEM Accelerators. To learn more about the IT consulting and staffing services provided at GRI Technology Solutions, talk to us. Please call (888)-694-7458 or email us at info@gritechsol.com and let us know what we can do to improve your business.